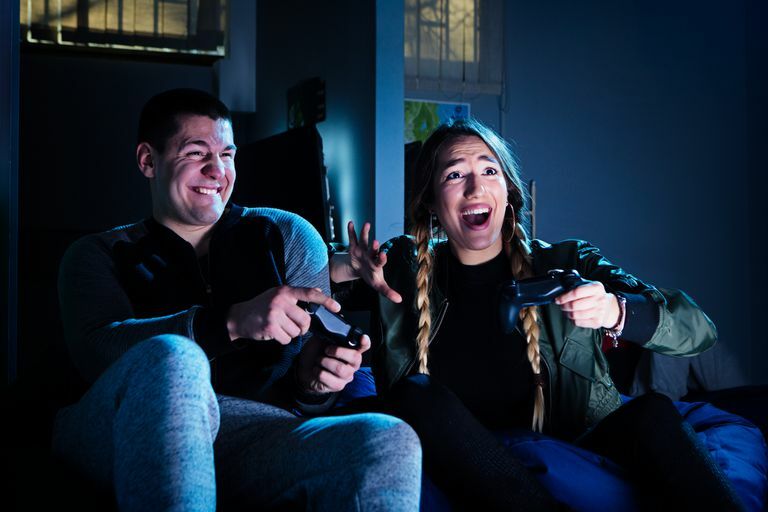 One of the most interesting and unexpected things to arise from online gaming is the birth of real-world economies based on the value of persistent world game characters and items. When Ultima Online and EverQuest characters started appearing on eBay, a lot of people found it hard to believe that anyone was willing to exchange actual money for game items that are, after all, largely imaginary. Nevertheless, trade in these digital goods continues to grow, and it has already gone from being a pastime pursued only by a handful of hard-core gamers to being a fledgling industry in its own right. We've all heard it said that time is money. This is no less true when it comes to persistent world online games. Under normal circumstances, it can take months or even years to work a character into the upper ranks of a game like EverQuest, or acquire some rare item that only drops on, say, the Plane of Complete Annihilation. It should come as no surprise that many people are willing to spend a little extra to get there faster. In fact, since you're paying by the month to play in most cases anyway, purchasing what you need to get straight to the end game may even be cost effective for some people. For those who are serious about trading in-game economies, the epicenter of activity is Category 1654, Internet Games, on eBay. While not every item in the category is a game item, it remains the most popular auction for virtual marketers. Dr. Edward Castronova, an economics professor at California State University, has been compiling statistics related to the category, and in 2004 it racked up over $22 million in total sales. Several entrepreneurs have taken notice of this and started other auctions and currency exchanges that specialize in virtual game property. To be sure, not all online game publishers, or players, for that matter, are happy with the real-world trade in-game assets. Sony has been quite firm on this issue, and they've successfully had SOE game items removed from eBay. Blizzard has sternly reminded World of Warcraft players that it is against their policy as well and that anyone caught doing it will be banned. Naturally, the trade in gear for these games continues through other auctions, and it seems unlikely that either company has the power to eradicate it completely. Other game companies have taken a more hands-off approach, condoning and sometimes even facilitating the exchange of cyber goods. One can easily imagine the assortment of potential problems this trend creates for game developers and gamers alike. Many people equate it with cheating and consider it unfair that a player can buy their way into a game status that would otherwise take many game hours to achieve. For the developer, it can escalate into a customer service nightmare. Support staff will find themselves on the receiving end of complaints about bad transactions and rip-offs, while cheaters are provided with an economic incentive to hack and exploit the game. Nevertheless, it's clear that this sort of trade is here to stay, regardless of how game companies or players feel about it, and many would argue that it's a good thing. The best solution is probably to integrate secure exchange services into the game so that players don't need outside auctions like eBay to conduct transactions. Several online worlds are already experimenting with this approach. The inhabitants of There, for example, are able to purchase ThereBucks with a credit card and shop for, or sell, game items in an auction that is part of the game. Interestingly, although the last time we checked, there is no "official" way to convert ThereBucks back into real bucks, it is standard procedure at player-operated banks. In an interview with ACM Que in early 2004, CEO Will Harvey pointed out that one of the top designers of clothes in ThereBucks is earning the equivalent of $3,000 a month. We don't intend to encourage anyone to dump their day job and pursue a career as a trader of virtual property, but it can't be denied that some people are making a significant amount of money in this enterprise. One of the highest profile and most forthright traders we've come across is Julian Dibbell, who has documented his experiences trading Ultima Online gear for the last year in detail. If you want some idea what it would take to turn playing into a career, we encourage you to read back through his blog, as it is both informative and insightful. Note that, in the last month of his year-long experiment, Julian was the number 2 seller of UO assets on eBay, and made a handsome profit of $3,917. It sure makes the game's monthly subscription fee look like one hell of a bargain. Given the profit potential, we guess it was inevitable that we would see the birth of companies dedicated to the acquisition and sale of game property on a larger scale. Internet Gaming Entertainment (IGE) is one such company. With offices in Hong Kong and the U.S., they now have over 100 full-time employees and a small army of "suppliers" selling them virtual goods from a variety of online games. The whole thing conjures up visions of sweatshops in China where child laborers are forced to toil away at computer terminals 16 hours a day leveling Dark Age of Camelot characters. I don't think we're there yet, but considering the amount of money changing hands, it can only be a matter of time. Over the next few years we can expect to hear a lot more about virtual economies and their impact on real economies, and it promises to be interesting to see how, or if, governments will try to regulate this growing market. We also look forward to seeing how game developers will respond to this phenomenon since at the moment they seem split between embracing it as a potential enhancement to the game and discouraging it as an impediment to fair gameplay.